Cheryl Gan once dreamed of being a tau huay (soya beancurd) lady boss. But it was a business idea that was quickly shot down after family and friends gave negative feedback about her homemade tau huay. Failing to meet their standards, Cheryl figured that it would be better to adopt a fail-fast mindset and move on to the next viable business idea. The Computer Engineering university graduate was working at the Singapore Workforce Development Agency (now known as Workforce Singapore) then; and during her stint there, she took up a course at a beauty school on how to give massages and do facials. This new-found interest propelled her to go on a trip to Thailand in 2007, where she visited a trade show for the first time. She had intended to buy a small batch of all-natural aromatherapy products, but encountered a local who produces his own blend of aromatherapy products made from natural herb extractions. The meeting piqued her interest in the aromatherapy business, and she ended up partnering him to start up Mt. Sapola, a homegrown label that carries scented and skincare products. It was a tough decision, but she left her civil servant job in 2006 to embark on her entrepreneurial journey. Despite not having any prior business knowledge or experience, the 41-year-old said that she took the plunge because she wanted to start her own business. Most importantly, she did not want to have any regrets for not acting on this dream. Opportunity never knocks twice. And back then, I think it’s the right time for the business. Experience and knowledge will never suffice anyway. Even now, I am still learning in this business journey. She was also glad to have her husband – Low Cheong Yew, co-founder of local hardware store Home-Fix – to mentor her in this journey. With 30 years of business experience under his belt, he has given her plenty of sound advice as a first-time entrepreneur. Great mentors like him are a “treasure”, said Cheryl, for he often reminds her to look at the big picture and take things slow. This year marks her 11th year running the business, which has grown exponentially with 14 Singapore stores and 7 Malaysia stores under her wings. According to Cheryl, she pumped in $50,000 of her savings to kickstart Mt. Sapola. As it was her first foray into entrepreneurship, Cheryl had to quickly find her footing and learn the ropes of running a business. Working from her Tai Seng office at the Home-Fix building, she wears multiple hats and oversees the company’s daily operations such as monitoring the production facilities and business development projects. The early years was especially difficult, as she was also the “human resource person [and the one] who did marketing and manned the shop,” she told The Straits Times. Recalling the first Mt. Sapola store in Tanglin Mall, she said that many systems and processes were not in place back then. She did not have employment contracts, and some employees even shoplifted. She also recounted the times when she would sit at the mall’s carpark after closing hours to stick on labels and price tags with the help of some friends. 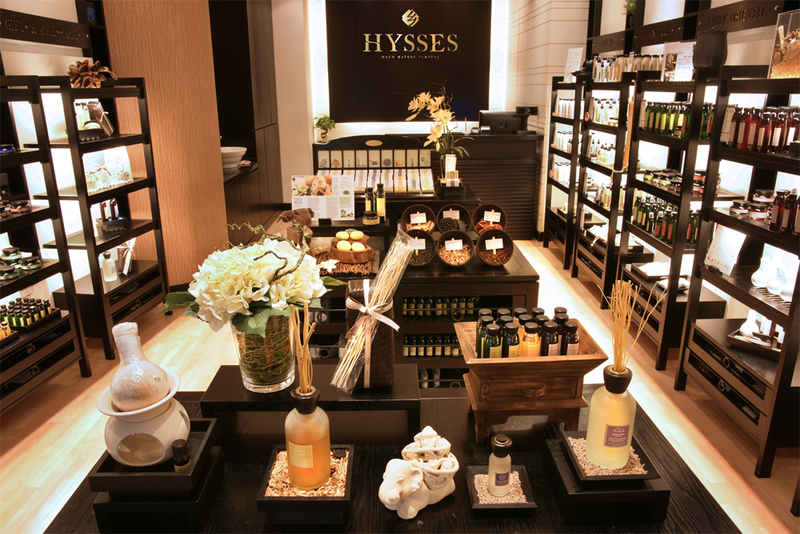 But a bigger business challenge for her was educating Singaporean consumers on aromatherapy and its benefits. Cheryl said that customers would associate the lemongrass scent with ‘tom yum’, but it actually has other uses as well such as repelling insects. Despite the rough start, the business successfully broke even in less than a year. We started as a small 200+ square-feet shop, earning a monthly revenue of less than $30,000. But now, we are doing a turnover of over $10 million with our own manufacturing facilities to boot. Cheryl’s partner also opened and managed stores in Thailand on his own, but they are now a separate entity after Mt. Sapola rebranded itself to HYSSES (pronounced High-ses) in August last year. She revealed that this rebranding move has been in the works since 2014, so it was definitely not a spur-of-the-moment decision. The rebranding takes on a new logo and brand identity, and according to Cheryl, the name HYSSES refers to an artistic interpretation of the Chinese word for ‘native village’. She also clarified that her Thai partner is not involved with HYSSES, but they are looking at launching an online store for the Mt. Sapola brand together. 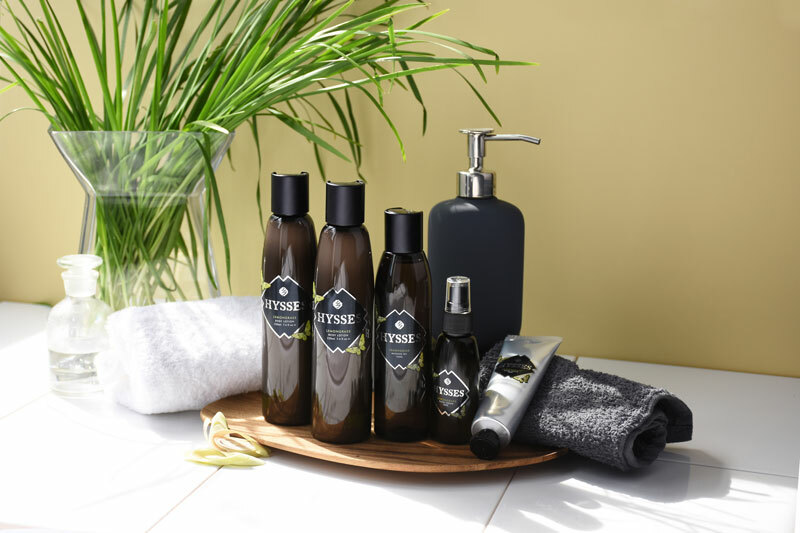 Ultimately, Cheryl said that she wanted to differentiate HYSSES as a local brand, and emphasised that its products are all formulated, tested, and made in Singapore. Previously, some consumers have mistaken Mount Sapola as a Thai brand so she wanted to step out of that “shadow” and refresh its identity under a new brand. But with over 25,000 customers in its database, wasn’t it a risky move? “We did our feasibility study and consumers’ engagement study (both locally and overseas) before the rebranding exercise,” said Cheryl. Consumers are unfazed with the change once they smell or try the product so its familiarity annihilates any concerns. We have built the trust of our consumers through the quality of our products since Mt Sapola days. While the packaging may have changed, Cheryl is confident that customers will immediately recognise their products once they try it out. She added that this rebranding exercise will also help propel the business’ “global expansion” goals. Since her partner was not keen on exploring the European market like she did, she wanted to work towards it alone with HYSSES to elevate the brand further. When Cheryl was growing Mt. Sapola in the first few years, she said that her business was greatly affected by the lack of product innovation. Customers were growing tired seeing the same range of products, so she figured that it was time to get creative. Cheryl emphasised that “product innovation” is extremely important, especially since Singapore is an “extremely challenging small market”. She was pressured to give customers more product choices, but her Thai business partner did not face the same problem because he was “gifted with a much larger consumer size in [his] home ground”. 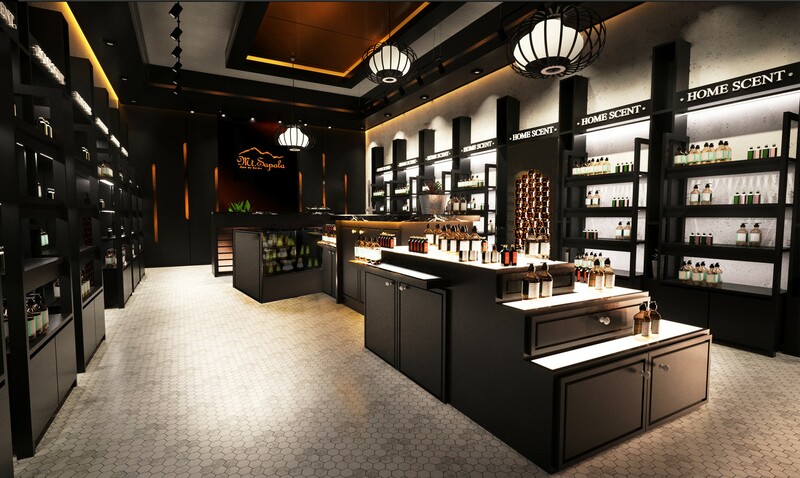 “My partner was focused on opening more stores, but I needed new products [otherwise] customers here would get bored. So, in that way, our business directions didn’t align. But he gave me his blessings to develop a certain product range,” she said. With her own manufacturing facilities and R&D team, she could afford to customise products – in terms of the scent and design – according to each market. This is a huge advantage when they entered other markets such as Malaysia in 2011, and Taiwan in 2014. “Once we understand from the ground (through the customers themselves, retail sales team, or the sales data), I will plan the new product development with our designers and R&D team to localise a series for the market,” said Cheryl. Her product line soon expanded to include diffusers and candle burners; and more essential oils, as well as facial and body products. By 2013, at least 60 per cent of Mt. Sapola Singapore’s products were made and packed here, and its product range grew to be much bigger than Thailand’s. Some new items such as the Bergamot Geranium scent were a hit in Singapore and Malaysia, which prompted overseas distributors to request to sell them in their stores. But business has not always been a smooth-sailing journey. Her move to enter the Taiwanese market (she opened a store-within-a-store there) did not go as planned and she was forced to close it down in 2016 due to poor management. But one to never back down, Cheryl decided to realign her efforts in the business rebranding and researching on other markets. Moving forward, Cheryl said that she is set on further overseas expansion, either through franchising or distributions. Specifically, she is intent on taking her brand to London, and eventually the rest of the European market. She is highly confident of HYSSES’ quality products, and wants to pit it against the world’s best in aromatherapy products – namely United Kingdom or Australia, as both countries have their own producers too. Looking back on her journey so far, Cheryl humbly said that she did not anticipate the success of her business. “The plan was just to start small. I didn’t think so far ahead,” she told The Straits Times. I didn’t think about whether I would succeed. Starting a business was always at the back of my mind, and I didn’t want to regret on my deathbed not doing it. If I failed, it would be a lesson learnt.